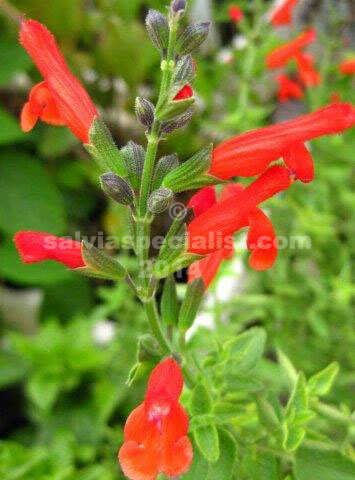 This salvia is fairly newly available. It comes from southern Mexico. Dichlamys seems a fairly easy going evergreen small plant about 60cm x 30cm. I imagine full to part sun is best. Dichlamys doesn’t like frost but will probably return from being frosted as long as it wasn’t a new plant. Red flowers appear in late summer onwards for a few months.